Are you interested in breast augmentation but concerned that implants will affect your ability to breastfeed should you choose to have children in the future? Fortunately, this is a common misconception. In actuality, if your body is able to produce breast milk before you’ve undergone breast augmentation, you should still be capable of breastfeeding following the placement of implants. However, it’s important to realize that approximately 75% of women are able to produce enough milk to breastfeed, which means about 25% of the female population is unable to breastfeed despite whether or not they’ve received breast implants. As a result, if you have never attempted breastfeeding prior to augmentation surgery, your ability to successfully lactate afterwards may not be known. Another widespread misbelief involving breast augmentation and breastfeeding is that implant materials coming into contact with breast glands and tissues will contaminate breast milk. The truth is, in the unlikely event of a leak and/or rupture, the saline solution or silicone gel found inside implants should not cause harm to any tissues or milk glands when the augmentation has been performed safely and correctly by a board certified plastic surgeon. If this is a major concern, please ask your surgeon specifics about how they perform breast augmentation as there are approaches that are more ideal for those that plan on breastfeeding one day. Ultimately, when breast augmentation is conducted by an experienced and qualified board certified plastic surgeon, your implants should have no effect on your ability to safely and effectively breastfeed, assuming your body is able to produce a sufficient amount of milk in the first place. 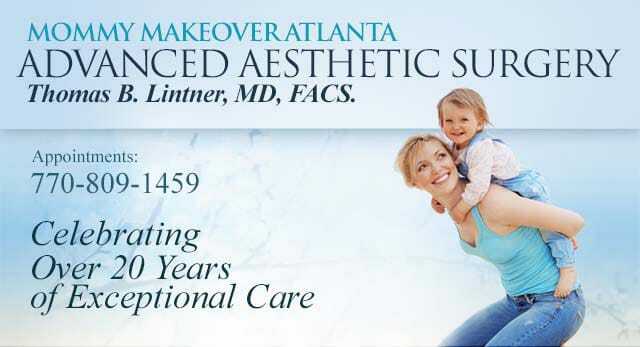 For more information about breastfeeding and implants, or to schedule a consultation with Dr. Lintner, please don’t hesitate to contact our practice today.